1 hotel with a sea view is waiting for you in Grandcamp-Maisy. 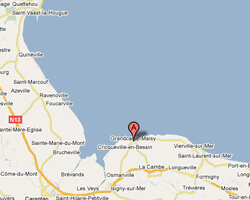 Grandcamp-Maisy is an old seaside resort with Belle Epoque villas. At the seaside you can find a beautiful sandy beach. 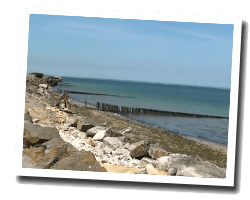 Located between Utah Beach and Omaha Beach, Grandcamp preserves the memory of the Allied landing in 1944. This is a place for quiet family holidays where kids can go fishing for shrimp. In Grandcamp-Maisy enjoy the pleasure of a sea view hotel.